Sculpture Size: 13 X 18 X 4 in. 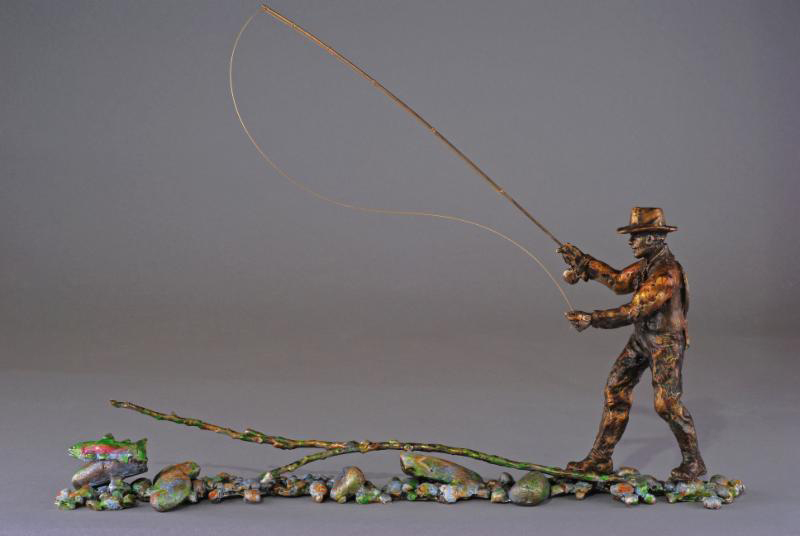 Rushing through the icy snowmelt of a springtime river the rainbow trout peeks and bobs, calling to the eager fisherman. Mark's newest tugs on the heartstrings of fisherman who have been anxiously waiting all winter, now able to heed the Casting Call.